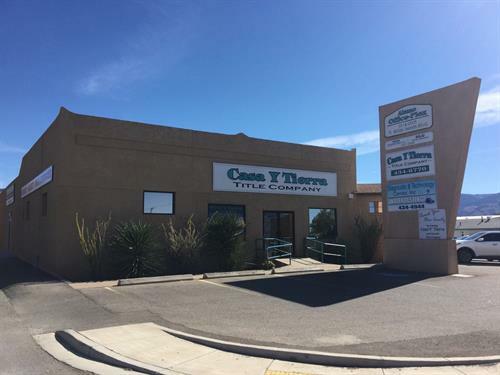 Casa y Tierra has been a proud part of Alamogordo commerce for nearly 20 years. Our extensive knowledge of the industry, as well as our vast experience and professionalism has earned us a number of awards that serve not only as trophies, but as testimonies to our customers' satisfaction. In 2005, we were awarded the Associate of the Year Award from the Board of Realtors, and two years in a row, we were fortunate enough to receive the Top Producers Award from 1st American Title Insurance. The staff and management at Casa y Tierra Title are committed to working with the local nonprofit and civic originations. We work with Habitat for Humanity for affordable housing in Otero County. We also participate with United Way and Boys and Girls Club. We are committed to doing all we can to make every transaction as pleasant as possible for our customers. We truly believe that customer service is the most important product we offer.